In a world where at least one new open world game comes out each and every month, it takes a lot to stand out from the crowd, and this dude is quickly losing interest in the genre. But seeing as it’s been years since I’ve played a Lord of the Rings game, I couldn’t help but keep an eye on Shadow of Mordor in hopes of something more than the rehashing we’ve been fed, over and over in recent years — Ubisoft, I’m glaring in your direction. I picked it up on day one, and for the first time in years, I savoured a game over the course of 6 weeks. Middle-earth: Shadow of Mordor is not only a great Lord of the Rings game, or a great open world game, it’s a great game… period. Think for a second, what it would be like if you took the exploration and maneuverability from Assassin’s Creed, mixed it with the hand-to-hand combat of Batman Arkham Asylum, and wrapped it in Lord of the Rings lore. 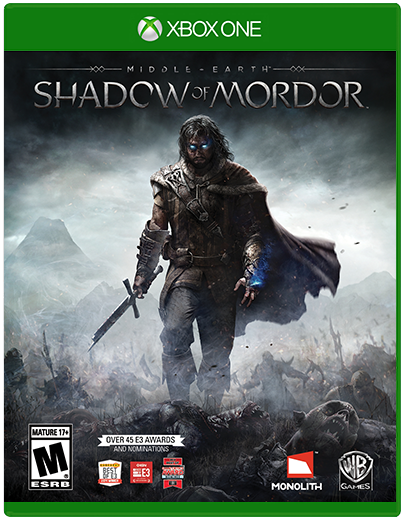 That’s essentially what Shadow of Mordor is. But not just that. It brings something entirely new to this type of game, or possibly to any type of game, as I haven’t seen this sort of dynamic enemy system before. 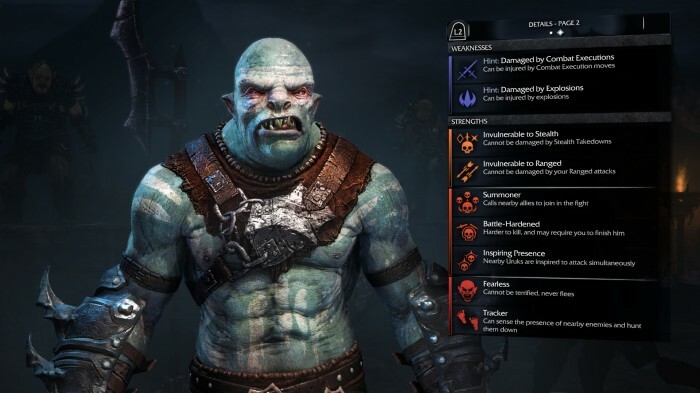 They call it the nemesis system, and it basically makes a direct connection between the protagonist and orcs he has come into contact with. If you are defeated by an orc, he will gain power and rise in the orc ranks, potentially earning the title of war chief. When you face him again, he will make reference to your previous battle. He might reference a new scar you’ve given him, or that you lit his comrades on fire. Regardless, he remembers you, and this is awesome on a whole new level! As you would expect, the game is set in the region of Mordor in Middle-earth, and it’s populated with orcs and human slaves. While the game’s protagonist Talion is on his mission, many of the orcs are on missions of their own. Every orc desires to be a war chief, and will do what they can to climb the chain of command. As you’re exploring, you’ll overhear them talking amongst themselves about various deeds others have done to increase their power. You’ll even hear them discus killing you, which I always took as an invite to separate their head from their body. War chiefs are at the top of the ladder, and the toughest foes. When you are going up against a war chief, you have to make sure you’ve taken care of his bodyguards first, as they’ll be there to support him if not, making your battle that much more difficult. Each orc has a long list of strengths and weaknesses, which can be learned by gaining intel from other orcs. So you really have to do your homework before facing off against a war chief — be sure you know his strengths and weaknesses, and either kill or dominate his bodyguards. With every open world game these days, comes a slew of side-quests and tasks to keep you busy long after the main story is completed. 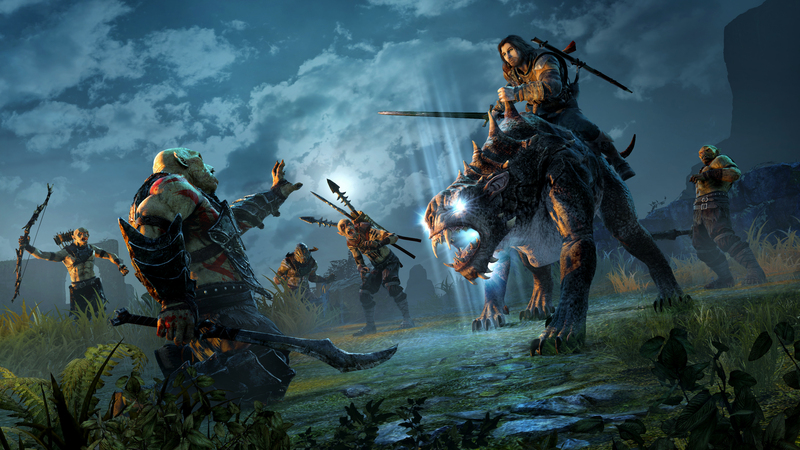 Shadow of Mordor is no exception, but the story itself is a really decent length. Just when I thought things were wrapping up, it was revealed that I was basically at the half-way point, and a new map, just as big as the first one, was exposed. With this new map, came a different landscape, and a new set of powers, so it totally felt fresh. I’m not certain when the story takes place in the Tolkien timeline, but Gollum makes a few appearances, and Sauron is the driving force behind the evil doings. 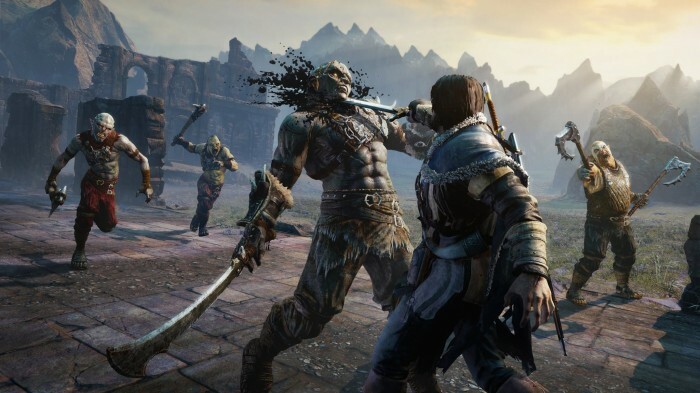 New light is shed on the creation of the Rings of Power, the backstory of the wraith who Talion has become bonded with, and stopping the evil forces within Mordor are the main story arcs. Needless to say, I was totally engaged the whole way through, and despite its lengthy campaign, I wasn’t ready for it to end when it did.